Hear and see Dr. Stephen Meyer speak on "The Signature in the Cell," at the Heritage Foundation. This man is articulate and brilliant. Dr. Stephen Meyer on "The Signature in the Cell"
Steve Meyer is going to be on the Medved show today at 1:00 PDT for the full second hour of the program – you can listen online at KRLA, or just tune your radio to a local station carrying Medved’s show. Charles Colson writes of the fall of Governor Sanford and the ways of sin. I am quite interested in this film, but it is rated "R." I know there is some violence, but not sure about the rest of it. If anyone has seen it, and would like to give a report, I would appreciate it. This is from an April 9, 2009 report from Barna Research. If it is accurate, it explains much about the sterility and banality of American "Christianity." I will be preaching at Scum of the Earth Church in Denver on Sunday, June 28 at 7:00 PM. My text is Luke 19:1-11. The sermon title is "Meeting Jesus: Money Made New." I hope to see some of you there. Read John Piper on why he does not watch television or go to many movies. I agree with him entirely on this. Too many Christians have made deep compromises with the world in these areas. We need to take the Bible seriously (and its Author) and repent. Is it any wonder the American church is not growing, that worldliness is epidemic, and that few know either the fear or power of God? "Controversy for the sake of controversy is sin. Controversy for the sake of the Gospel is a divine command"--Walter Martin. Kenneth Samples has written an excellent three-part remembrance of Walter Martin, the great father of the countercult movement, who died twenty years ago this month. Martin exhibited many apologetic virtues, which Samples highlights. I was honored to have Walter write the forward to my second book, Confronting the New Age (InterVarsity, 1988) and to spend some time with him in Seattle in the late 1980s. I appeared on "The Bible Answer Man Program" with him in Seattle in about 1987. I listened to dozens of this tapes, which he donated to The McKenzie Study Center (where I was on staff) in the early 1980s. Early in my Christian life, I also read The Kingdom of the Cults, which was formative in my understanding of orthodoxy and heresy. I have recommended the video, "Thus Spake the Spectacle" on this world famous blog. The creator of it noticed and asked if he could present something at Denver Seminary. So, we will have Eric Goodman present the following on July 7 at 7:00PM in room 120 at Denver Seminary. The event is free, but will make you think! Eric Goodman is a musician and videomaker living in New York City. He is a graduate of Cornell University, where he led off the first annual "MIDI Madness" Digital Music Festival. He has studied electronic music, music composition, video production and film scoring at Cornell and the Center for the Media Arts. His project of conceptual music videos, Thus Spoke The Spectacle, fuses original compositions, video clips, and narration from the fields of media studies, literature and philosophy. Drawing upon a wide range of theories, the project explores the meaning and effects of our corporate-controlled, media-saturated, technological society. Read Dennis Prager on Barbara Boxer's incivility and disrespect for the military. "Some benefits of life without television" by Jim and Amy Spiegel. Kindred spirits are; out there. Thanks to Paul Adams for this link. Paul Raynor, a recent graduate from Denver Seminary with an MA in Philosophy of Religion, has reviewed Peter Van Inwagen's book, The Problem of Evil at Denver Journal. Here are a few minutes of video from a 1976 film series called, "How Should We Then Live?" featuring Francis Schaeffer. He makes a very basic point about the deceptive possibilities of television (and really all video technology), but I fear that many people today have not taken seriously what he warns of: media manipulation of facts. If you want more (and you should), read the entire book of the same title, please. I have reviewed it at Denver Journal. Are you Resisting the World, the Flesh, and the Devil? A man standing still is doing nothing, but a man standing still in a raging river is resisting.--Chinese proverb. Although this book has been much-attacked (James K. A. Smith dismissed it in a footnote by saying I was "afraid of postmodernism"), it is has also been much-used. For the latter, I am grateful. Prison Fellowship has used it as part of their terrific Centurion Program. It is endorsed by Os Guinness and J.P. Moreland. That made my year. This is my most academic book I have authored to date (the forthcoming apologetics text, What Matters Most, will be more so), so I am happy it is still in print after nine years. Television is our culture’s principal mode of knowing about itself. Therefore—and this is the critical point—how television stages the world becomes the model for how the world is properly to be staged—Neil Postman, Amusing Ourselves to Death (1985). Dr. Cornelius Hunter chronicles the failed predictions of Darwin on his web page. This distills and adds to material in his several books on Darwinism. Darwinists often say (rather robotically, usually) that intelligent design makes no predictions. That is false. Darwin made them, too, and most have not been verified. Charles Colson writes of CAIR's (Counsel on American Islamic Relations) links to the terrorist organiation, Hamas. www.breakpoint.org/listingarticle.asp?ID=11903). Sorry, I could not get the hyperlink to work. My review of The Trouble with Paris by Mark Sayers is now up at Denver Journal. You can hear or download my June 14, 2009, sermon, "Living With Persecution," given at Southern Gables Church, at their web page. There should be a sermon outline on the page as well, but it misidentifies the text as 2 Peter 4:12-19 (my fault); the sermon is on 1 Peter 4:12-19. I can send you a more robust outline (what I preached from) if you'd like. Yet the scientists quoted in the article fail to address the fundamental issue that has generated the longstanding impasse in the field: the problem of the origin of biological information. Wade describes the various developments in pre-biotic chemistry that are making some scientists more optimistic about solving the problem of the origin of life. Yet, the central problem facing them is not the synthesis of pre-biotic building blocks or even discovering an environment in which life might have plausibly arisen—difficult as these problems have proven to be. Instead, the fundamental problem is getting the chemical building blocks to arrange themselves into the large information-bearing molecules (such as DNA and RNA) that direct the show in living cells. I made a mistake in posting the Michelle Obama photograph. It really cannot be determined what the original setting was. I should have been more skeptical. However, I volunteered at a church once where people came in for food who had cell phones. In Signature in the Cell, Dr. Stephen Meyer shows that the digital code embedded in DNA points powerfully to a designing intelligence and helps unravel a mystery that Darwin did not address: how did the very first life begin? Follow Dr. Meyer as he investigates how new scientific discoveries are pointing to intelligent design as the best explanation for the complexity of life and the universe. Hanson, an astute critic and historian, uncovers Obama's multitudinous lies, egregious omissions, half-truths, and misrepresentations. Importantly, he ties this to Obama's postmodernist, multicultural worldview. Mark Steyn on Obama's message to "the Muslim world." 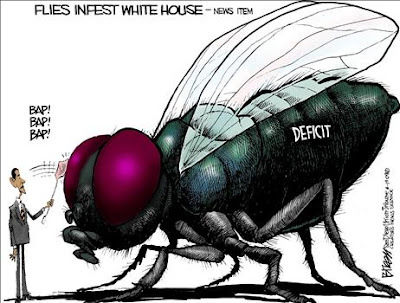 Frank Gaffney assesses Obama's Cairo speech at The Washington Times. Gaffney points out that Obama's phrases could not be uttered by a Christian and that he shows extreme deference to Islam. Particularly concerning is Obama's referring to Mohammad and then saying, as Muslims do, "peace be upon him." Peace be upon a man who denied the Gospel and created a religion that rejects the Bible as the definitive revelation of God to humans? For a biblical view, see Galatians 1:6-11. Obama also spoke of "the holy Koran." This is the book of jihad, that denies the Trinity (which it ignorantly views as Father, Son, and Mary), that allows men to take four wives and to beat them, and so on. It is not holy. He could have easily just said, "the Koran" and not offended anyone. Further, he spoke of "the revelation" of Islam. "Revelation" in this context is a theologically-charged word. It is not descriptively neutral as is "scripture" or "teaching." If something is revealed, it comes down from a higher source (God). If the religion of Islam is "revealed" it is the true religion. There is no reason for a statesman to speak this way unless he is quite partial to the religion itself. How partial? America, we are in deep, deep trouble. Congresswoman Michele Bachmann on our "gangster government." She is right, even if few are listening. There is a lecture of mine on YouTube in two parts, called "Truth Decay" It was delivered at Colorado Christian University in January of 2009. Thanks to Aaron and DJ at Denver Seminary for editing this and getting it up. J.P. Moreland, The God Question: An Invitation to a Life of Meaning. Harvest House Publishers, Eugene, Oregon, 2009. Reviewed by Doug Groothuis. Although J. P. Moreland is a distinguished Christian philosopher who has written numerous academic articles and books at a high academic level, he is also a passionate follower of Christ who wants to ignite that same passion in others. To that end, he has written this remarkable book, which combines philosophical reflection with spiritual instruction. Moreland begins by reflecting on our quest to be happy and our inability to find genuine satisfaction in life. Social scientists have noted that the incidence of depression has skyrocketed in recent years, even as our standard of living rises. Moreland describes “the empty self” that consumes popular culture in copious quantities, but ends up restless, bored, impatient, and immature. Instead of giving yet more self-help advice, Moreland argues that only a true and rational worldview and wise living based on that worldview can adequately treat the problem of unhappiness. Therefore, Moreland makes a philosophical and historical case for the Christian God, covering the best of natural theology (cosmological, design, and moral arguments), as well as the historical reliability of the Gospels. But unlike some apologetic approaches, Moreland always has the human subject in view, being concerned to relate the rationality of Christian truth to the individual in search of meaning. Along these lines, his defense of the uniqueness and supremacy of Jesus is closely tied to the human fulfillment found in “the luminous Nazarene,” as he aptly puts it. The God Question is both warmly personal (featuring a chapter on Moreland’s testimony) and intellectually challenging (although not overly technical). Not content to merely to defend the Christian worldview as intellectually compelling, Moreland beckons the reader to live a Christian life through the spiritual disciplines and an openness to the supernatural work of God. Moreland also gives personal examples of encountering the supernatural power of God and alerts the reader to the realities of spiritual warfare. His excellent discussion of life in the Kingdom of God should inspire and excite the reader to be whole-hearted participant in this wonderful manifestation of God’s rule over a fallen world. (He develops this vital theme more fully in Kingdom Triangle.) The Christian life offers true happiness, in which the entirety of the human person can flourish to the glory of God (see John 10:10). Moreland calls us to a life of drama and meaning in Christ. He writes wisely about the need to practice self-denial, which can be painful, although it is ultimately the gateway to joy. However, he says little about the Christian’s personal struggle with suffering and evil. While he doesn’t ignore the subject, his practical advice on living the Christian life mentions little about the need for lament, grieving, and suffering well in the presence of God—something we find so often in the Psalms, for example. (This topic is wisely addressed in Michael Card’s book, A Sacred Sorrow.) Of course, one cannot do everything in a medium-sized book, so this is a minor complaint. May God use this unique and important book to raise up many Christ-followers who desire to develop both a Christian mind and a godly heart. Shelby Steele, one of my favorite writers on race, analyzes Obama's choice for the Supreme Court. Charles Colson speaks the truth about Obama's speech in Cairo. Perhaps the most egregious thing about this speech was that Obama, purportedly a Christian, failed to address the Islamic persecution of Christians around the world, and in Egypt as well. Islam is incompatible with any historic Western concept of religious freedom. On this, read Culture Clash by Mark Gabriel, formerly a professor of Islamic history at Al-Azar University in Egypt. Did that really say "2 billion"?! This economic, cultural, and moral obscenity painfully reveals our national addiction to "the plug-in drug," the entertainment-addictor, the destroyer of reading, the unreality appliance. Your tax dollars are going to help "ease the transition" so millions can remain plugged in. This demands a speed poem. TV: yesterday, today, and forever. 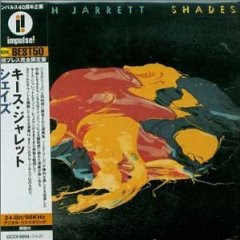 A few days ago, I purchased a used and rare Keith Jarrett record album (that's right: vinyl), called "Shades," for just a few dollars at our local establishment, Twist and Shout. I have never seen it re-released as a CD, although there is an import available. It features the subtle and incomparable drumming of Paul Motian and the virtuosity of Charlie Haden on acoustic bass, the visceral beauty of Dewey Redman's tenor saxophone, in addition to Jarrett's unmistakable piano playing (and mewing). Today I played side one on my 1973 turntable, through an equally old tube amplifier. I listened through a new pair of headphones. After adjusting the old amplifier to shake out the buzz and hums (it takes some coaxing), I listened to the rich analogue audio of master musicians from 1976--on technology mostly from the same era. Yes, albums sound better than CDs--much better. This medium is inefficient. You have to change the album every 15-20 minutes since the needle goes to the end and just stays there. Albums are bulky and somewhat fragile; they are easily scratched and have to be stored carefully so they do not warp. You have to clean the needle periodically, as well as the albums themselves, which are magnets for dust. This experience is tactile as well as sonic. Albums are also more visually-oriented than CDs, since the cover art was taken very seriously by many artists. (Impulse records was justly famous on this account. See Ashley Kahn's book, The House That Trane Built.) This album features a mysterious, abstract painting on the cover--which is far larger than anything on a compact disk. You use old things that retain their value and meaning. Miniaturization and efficiency are overrated. Robert Paul is a recent graduate of Denver Seminary in the Philosophy program as well as a gifted singer, song writer, and guitarist. He will be appearing with his band at Creators Cafe next Friday evening. I hope to see you there. Remarkable indeed. The ostrich strikes again--and jeopardizes the free world in the process. LONDON — President Barack Obama reiterated that Iran may have some right to nuclear energy-provided it takes steps to prove its aspirations are peaceful. So says, The Huffington Post. Again, this shows that Obama does not understand evil or the realities of international affairs (with which he has no experience). If we are nice to the Iranians, whose President and mullahs want to wipe Israel off the face of the earth, somehow things will work out. It is absurd to trust them to use nuclear technology only for energy, given their record of hatred toward Israel and America. Moreover, outside inspections are not infallible. But Obama, like the good liberal ignoramus that he is, trusts "the international community" (read the UN) more than the historic strength of his own country. The foolishness of this man is breath-taking, mind-boggling, and bone-chilling. Barack Obama says that the US is one of the largest Muslim countries in the world. This boggles the mind. We have about 2.3 million Muslims, which is minuscule compared to India, Indonesia, Pakistan, Egypt, and so on. A recent convert to Islam kills one American soldier and wounds another. He also faces 15 counts of terrorist activity. Somehow the New York Times did not report this on the front page of their web page. They did cover it, however. Robert Spencer claims the young man had recently returned from Yemen, where he studied with an Islamic teacher. Mark Early, of Prison Fellowship, writes of the growth of Islam in American prisons. The terrorist cell just broken up in New York included converts to violent Islam made in prison. They were given Jihadi material while in prison! This, of course, should not be allowed. The New York Police Department released a 90 page report on this problem.